Dry macular degeneration treatment options include healthy lifestyle choices, diet and nutrition. For the advanced stage of dry macular degeneration called geographic atrophy, eye implants are a possibility for select patients. vitamin E may help prevent or slow progression of dry macular degeneration. The AREDS study indicates that taking high dose formulas of certain nutritional supplements, like Bausch and Lomb PreserVision AREDS Formula Eye Vitamins can reduce your risk of early stage AMD progression by 25 percent. "Almost every single one of the risk factors we have for macular degeneration can be linked to free radicals," according to Dr. Lylas Mogk, Director of the Visual Rehabilitation and Research Center of the Henry Ford Health System. 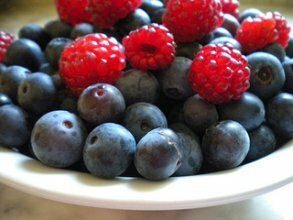 Include foods high in antioxidants to counteract the effects of free radical damage to your cells. 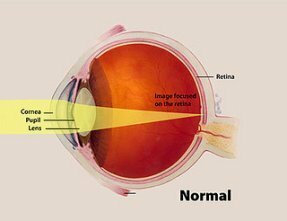 Lutein and zeaxanthin are two compounds, called carotenoids, that are found in the macula. They are what gives the macula its pigment. This macular pigment helps to protect the macula from the damaging effects of blue light. There are many studies linking the association between lutein and zeaxanthin with macular health. After reading more about these two critical carotenoids, my husband and I are making sure we include lutein rich foods in our diet. Foods can be pro-inflammatory or anti-inflammatory. Chronic inflammation can lead to many degenerative diseases including dry macular degeneration. √ Spinach, collard greens, kale & other green leafy vegetables into your diet. Always eat them with some healthy fat, like olive oil. Many of the foods in a anti-inflammatory diet will benefit not just your eyes but also put you on the right track for a healthy heart and brain. Dr. Edward Kondrot, did an e-interview with www.WebRN-MacularDegeneration.com readers on microcurrent stimulation as a treatment for macular degeneration. He is a board certified ophthalmologist and homeopathic doctor. 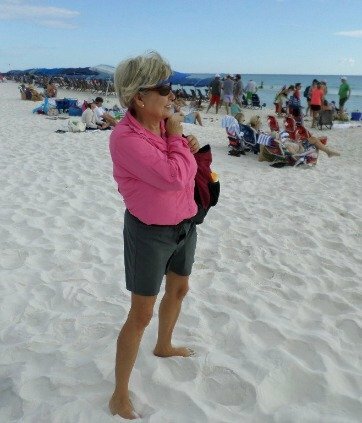 Protect your eyes with sunglasses that offer ultraviolet protection. The second strategy is to wear blue blocker sunglasses. The color that blocks blue is yellow, so blue blockers must contain a yellow tint. Blue Blocker glasses are available as clip-ons, and as large plastic frames that fit over your regular glasses. Two other lifestyle changes that greatly impact the health of the eyes include reducing and controlling high blood pressure and quitting smoking. The implantable telescope helps to improve vision for those who have advanced dry macular degeneration. There are several clinical trials for dry macular degeneration treatment. They range from retinal transplants, to nanosecond laser therapy to macular drusen to antioxidant therapy. 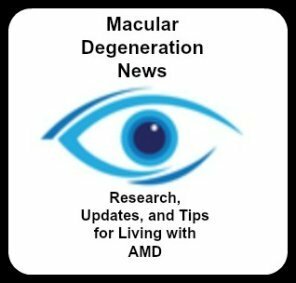 More research is being conducted for the dry version of AMD to provide patients with more treatment options. Until then be proactive in improving your health through diet, exercise and healthy lifestyle choices.